Several Georgia leaders are hoping the state will win in GE&apos;s potential search for a new headquarters location. 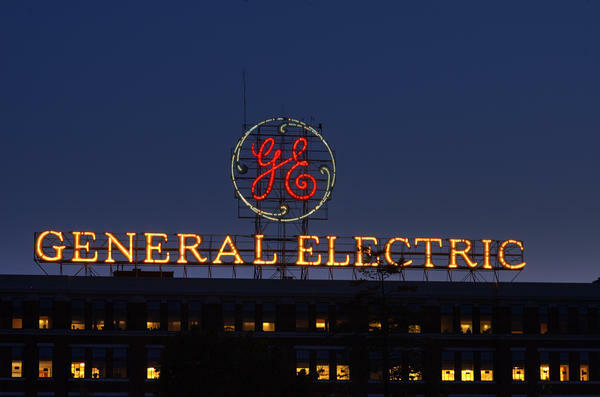 General Electric Co. has set up a committee to explore moving its corporate headquarters out of Connecticut, following the legislature’s decision to increase taxes on the state’s major businesses. Georgia leaders quickly expressed interesting in having GE relocate to the Peach State – to join the growing number Fortune 500 companies calling Georgia their home each year. Business leaders and economic development officials know this could just be a ploy by GE to get Connecticut to reverse its anti-business tax policy. But just in case, they don’t want to miss a shot at winning the headquarters of the country’s eighth largest Fortune 500 company. Even if Atlanta and Georgia aren’t successful with GE, they win in two other ways. The state gets to update the company’s executives about about Georgia, it’s airport and its business friendly environment. And it never hurts our top leaders to perfect their teamwork and message points when selling the state to the outside world. That team already is in place trying to attract GE’s headquarters, Atlanta Mayor Kasim Reed recently said. And GE is not the only prospect. The mayor said he visited with a group of business leaders from Connecticut on June 11. There are 17 Fortune 500 companies based in Connecticut, and none of them are happy with the state’s tax policies. The mayor said they have been very aggressive in reaching out to Atlanta. Georgia’s presence as a Fortune 500 state continues to grow. In 2014, there were 17 Fortune 500 companies based in the state; the year before – 16. This year, there are 20 with the addition of PulteGroup at No. 453; AGL Resources at No. 465; and ARRIS at No. 492 to the list. Next year, it is almost a certainty that Veritiv will be added to the list when it has been a public company for a full year. Had it been included in this year’s list, Veritiv would have been No. 311 on the Fortune 500 list. All but two of the state’s Fortune 500 companies are based in metro Atlanta. If Georgia is serious about wanting to go after Fortune 500 headquarters, it needs to make sure it is offering them what they want. It is undeniable that headquarters today want to be near MARTA so they can attract millennials who want an urban, walkable lifestyle. They also love being able to take MARTA directly to the airport. The state also would be smart to be sure Delta Air Lines – our economic magnet – is a happy corporate citizen. And that also means welcoming people of all nationalities to our state. Georgia – especially Atlanta – is well positioned to become home to even more Fortune 500 companies, including GE. But we need to increase our investment in our city’s quality of life.